Cast off from the shore and set a course for Adventure! School groups are welcome aboard the Mapua Ferry and we have a range of Curriculum-linked programmes available, provided by Richard de Hamel from NZ Marine Studies Centre. Richard is funded by the Ministry of Education's LEOTC Service, so he is available to schools at no extra cost. Take a tour on the Ferry from Mapua up the estuary. 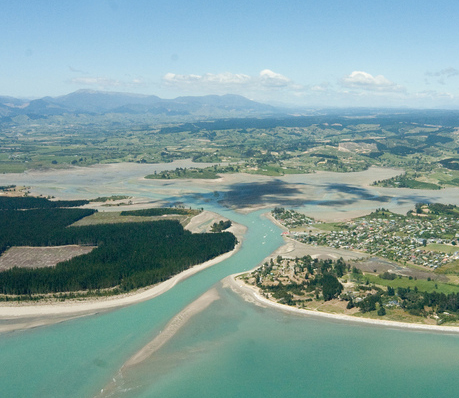 Compare what you see with how the Waimea Inlet looked when only Maori lived in the area. What were their sources of food, shelter and water? Explore the thinking of Maori living on the Waimea Estuary, and the technology it inspired. Students will learn how to work replica Maori drills (tuwiri), and make a sample of fishing line, they explore at how the old style Maori fish hooks and other fish catching devices worked. N.B. This trip is best done at high tide. This programme can be based onboard if the weather was wet. Trip over to Rabbit Island to explore the beach and beach processes at work. Using a microscope, we will attempt to work out what is the sand made of. We will explore some of the life living over, on and in the sand, and see how that changes as we move around the corner to the entrance to the Waimea estuary. Options for coupling this programme to art, cycling, shared picnic or beach-based activities. Swimming is not recommended. N.B. Best suited to a low tide. Portable shelter (3m x 4.5m) is available in case of rain. 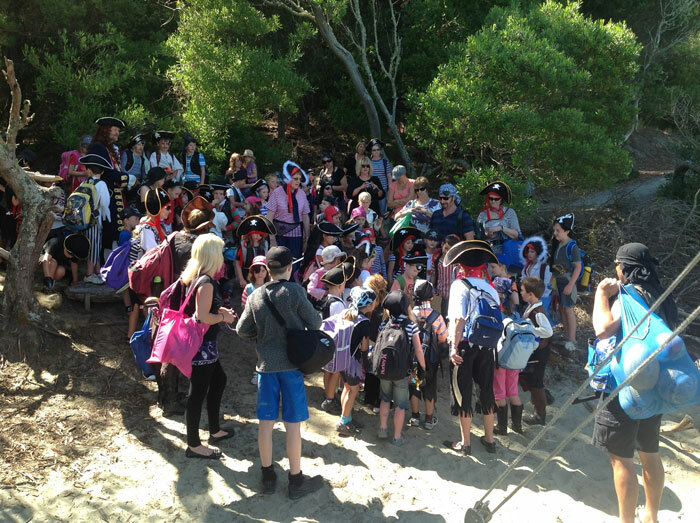 What class can resist a treasure hunt? 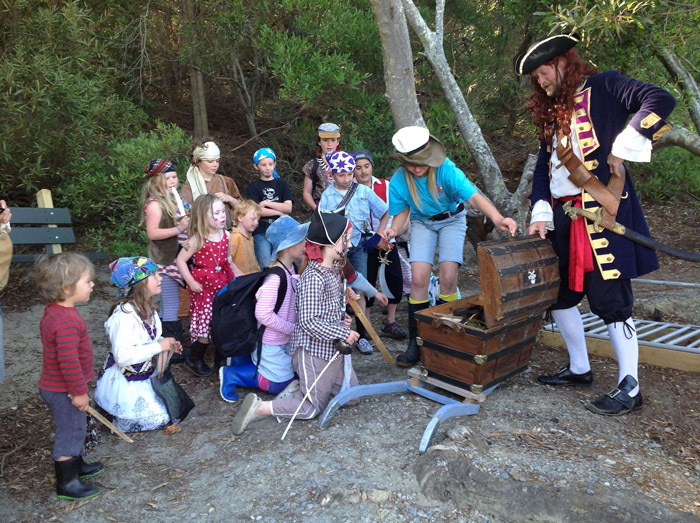 This is a Treasure hunt to end all treasure hunts! A very 'real' pirate, a map, a cannon, a skull, a flag, and a buried treasure chest! This is part two of a programme that starts in your school, when a pirate walks in looking for somewhere to hide a chest. Among the curios found by the children is his map!! So get those costumes sorted and scramble aboard the ferry! As pirates, we have one thing on our mind and it's not computer games! An action packed treasure tracking hour (or more!) follows, in our desperate attempt to find the prize! N.B. Any tide, but not suitable in rain.